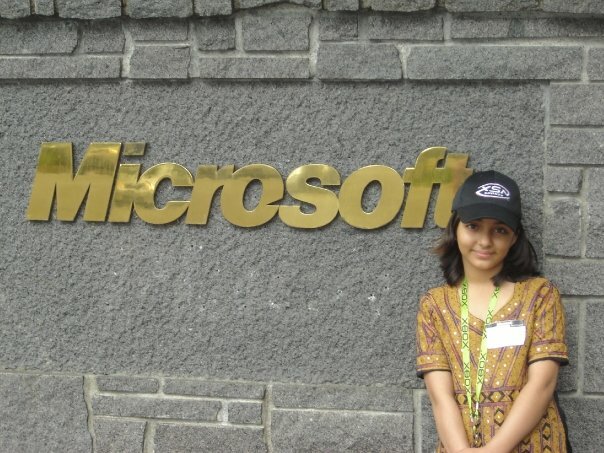 Aarifa Karim, a Pakistani girl from Faisalabad who became the world's youngest Microsoft Certified Professional (MCP) in 2004 at the age of nine, is in a critical condition in a hospital. Aarifa Karim, a Pakistani girl from Faisalabad who became the world’s youngest Microsoft Certified Professional (MCP) in 2004 at the age of nine, is in a critical condition in a hospital in Lahore, Express News reported on Thursday. Karim’s father told Express News that she had an epileptic attack on December 22 which damaged her heart and her brain. Doctors said that she is on a ventilator and they might have to unplug her machines as there are hardly any chances of saving her, but they cannot take any decision against the family’s will. After the news of Karim’s condition emerged, Punjab Chief Minister Shahbaz Sharif took notice of it and announced providing economic support to the family, but Karim’s family refused to take the money. Karim had also earned the Fatima Jinnah gold medal and Salam Pakistan Youth Award in 2005 over her achievement, and was also invited to the Microsoft Headquarters in the US by Bill Gates for being the World’s youngest MCP. Karim earned her first flight certificate by flying a plane at a flying club in Dubai at the age of 10, and was invited by Microsoft in 2006 to be a key-note speaker at the Tech-Ed Developers Conference, where she was the only Pakistani among over 5,000 developers. She is currently 16 years old and is studying at Lahore Grammar School Paragon Campus.